The rating that the United States had previous to Friday was AAA and it was downgraded to A-1+. The negative symbol on this rating means that the United States has very little chance of regaining the top rating in future. 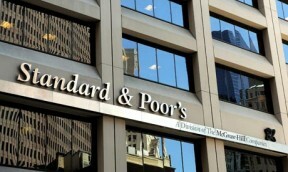 This rating took many hours to be released because after S&P notified treasury officials of the downgrade and their findings, the treasury noticed a 2 trillion dollar error in the Standard and Poor’s math. After the correct math was calculated, Standard and Poor still felt that the United States did not deserve their triple A rating.